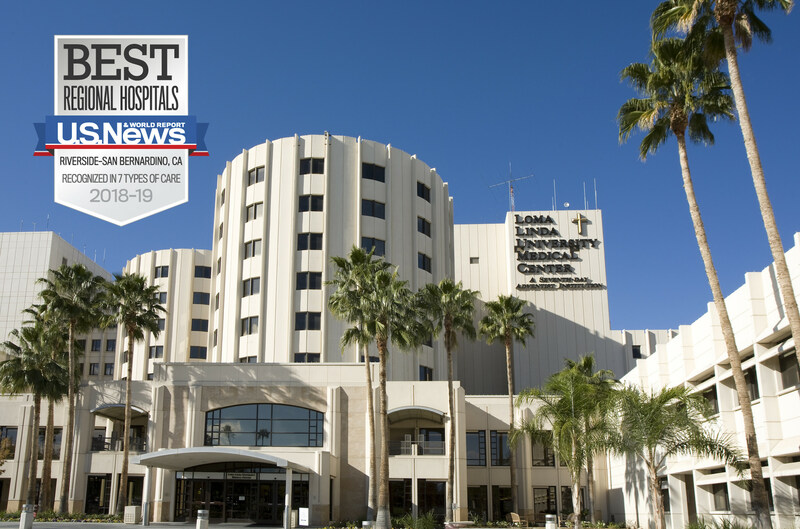 Loma Linda, CA ­– August 14, 2018 – Loma Linda University Medical Center (LLUMC) has been recognized as a Best Hospital for 2018-19 by U.S. News & World Report. Ranked as the No. 1 hospital in Riverside and San Bernardino Counties, LLUMC was also nationally ranked in gynecology and recognized as “high performing” in seven other areas. Released today, the annual rankings are designed to assist patients and their doctors in making informed decisions about where to receive care for challenging health conditions or common elective procedures. Loma Linda University Health includes Loma Linda University's eight professional schools, Loma Linda University Medical Center's six hospitals and more than 1,000 faculty physicians located in the Inland Empire of Southern California. Established in 1905, Loma Linda University Health is a global leader in education, research and clinical care. It offers over 100 academic programs and provides quality health care to over 40,000 inpatients and 1.5 million outpatients each year. A Seventh-day Adventist organization, Loma Linda University Health is a faith-based health system with a mission "to continue the teaching and healing ministry of Jesus Christ." This press release and photo were provided by Loma Linda University Health.